Sometime when other devices connect to your network that has DHCP service running. It will create, add computer name and IP address to the CCBoot. See Figure 1. 1. Click the Option Menu in the CCBoot Server Software. See Figure 2. 2. Unchecked the "Auto add client" and click "OK". 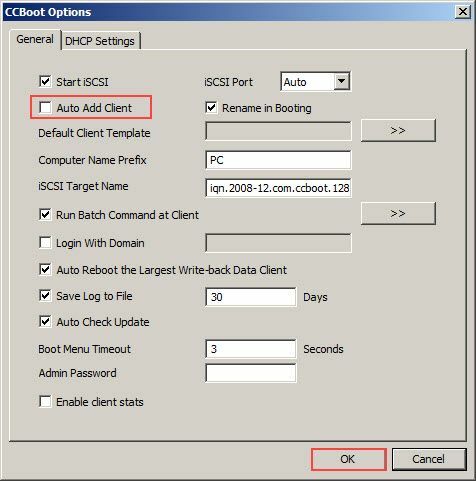 DHCP irregular IP address should not be shown again to your CCBoot server lists. See Figure 3.